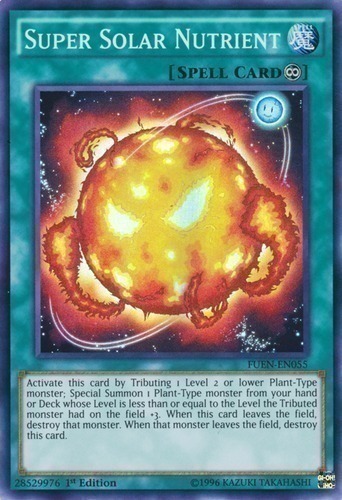 Activate this card by Tributing 1 Level 2 or lower Plant-Type monster; Special Summon 1 Plant-Type monster from your hand or Deck whose Level is less than or equal to the Level the Tributed monster had on the field +3. When this card leaves the field, destroy that monster. When that monster leaves the field, destroy this card.